Some people see Freemasons as little more than a group of men who meet in secret, partake in secret rituals and whose ultimate aim is to look after each other. My recent guest on Voices from the North, Bob Vartan, 41 years a Mason himself, laid such suspicions to rest. He is current District Grandmaster for Northland, involved in the 14 lodges under his jurisdiction with ritual and pastoral responsibilities. From the moment an apprentice is entered into a lodge, it is impressed upon him that his duty is not to himself, but to his family, his fellow man, his community and his country (and to God, Bob might add). What is Freemasonry? The most popular (or classic) answer to this question is “a system of morality veiled in allegory and illustrated by symbols”. To find out what this really means feel free to visit: http://www.standrew518.co.uk/MAS.php. 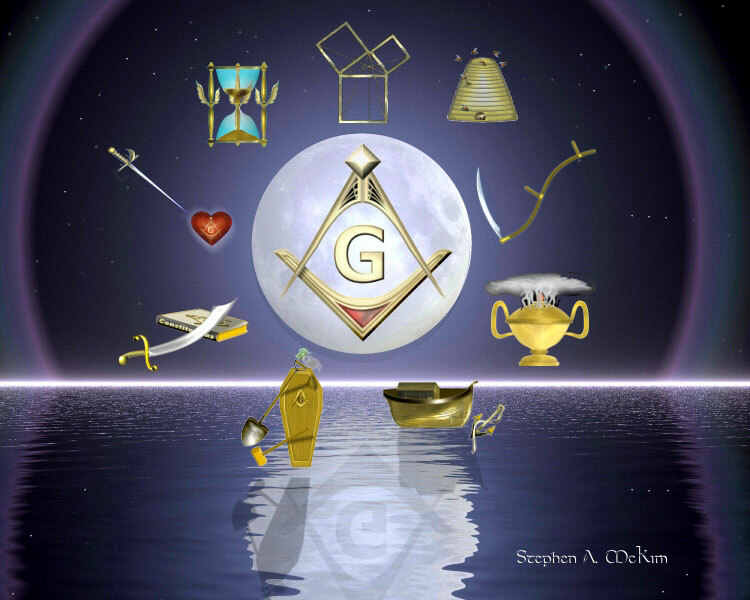 That’s where the beautiful image at the top showing some of the symbols in Freemasonry was found. There have been many famous Freemasons over the centuries including the likes of Sir Winston Churchill, Scottish poet Robbie Burns, Louis Armstrong, Sir Arthur Conan Doyle, Rudyard Kipling and many of the founding fathers of America in 1788. Freemasonry is founded on three principles—brotherly love, relief and truth. Bob clarified this concept by using the words fellowship, charity and integrity as being reasonably synonymous with these three guiding principles. He explained how the focus of charity has broadened over the centuries, giving examples of what giving the lodges here have done recently. Join Bob Vartan and me in a discussion that reflects Bob’s deep respect for this organization that has so positively influenced him over the course of his life.